Following on from the many competitions we have been running over the last month I thought it would be good to give you all an update on who won which competition! Before we get into details on the winners so far don’t forget that there are 2 competitions ongoing at the moment! The MyFourCats cat cube and the International Cat Care 2016 cat calendar. This amazing toy went to Diavolo and his human companion Michelle. One set went to Jade H. and the other one to Gille A. This purrtastic Apron went to Claire Y. Not a winner? Get 10% off instead! 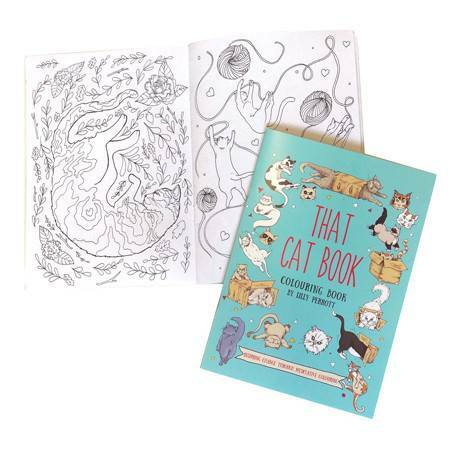 This pawesome book went to Iain M.
Joshi and his human Carol W. were the winner of the Feedem hamper! This entry was posted in Competitions and tagged cat, cats, christmas, competition, cute, funny, katze, katzen, kawaii, ねこ, 猫.
Mews: Is Coat Colour linked to aggression in cats? Angel’s Eyes: Can you find me? Thanks for the updates and congrats to all the winners!!! Lovely! Thanks for the update! Happy holidays! ? hahah…the Persian in the Santa hat was priceless…oh and concats to all the winners…good going my friends. Well done Joshy and Human C we all love you both !!!!! Diavolo and I thank you very much. He loves his leather eared mouse! Oh look….Santa Claws! (sic) Great Pictures.